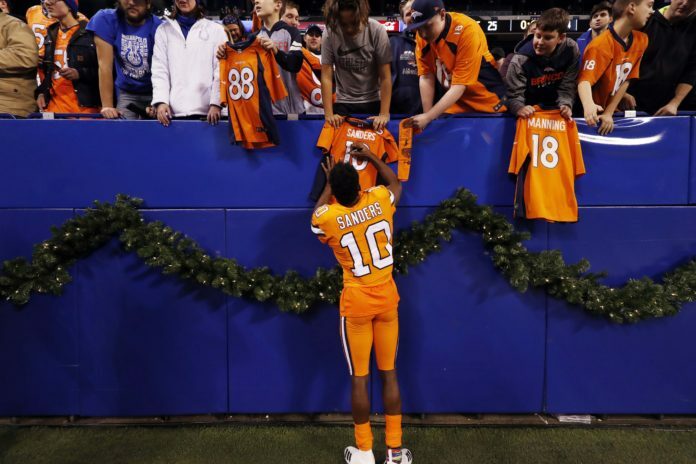 Emmanuel Sanders has always been a showman. His antics and excitement have always been a part of his personality, but that energy has suddenly increased in a big way. What is the reason for Sanders sudden burst of passion, you ask? Well, Sanders is back to having fun again. Sanders is running with his recent spike of love for the game of football and it is manifesting itself on the field and in his tomfoolery. 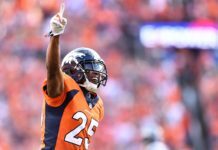 During the most recent day of training camp, the Broncos took part in a joint practice with the Bears and Sanders proceeded to roast Kyle Fuller so badly that it led some onlookers to refer to Fuller and Sanders’ son — something the Broncos receiver had no problem doubling-down on. 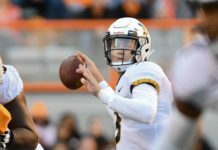 When Sanders is having that much fun on a football field, it usually leads to big numbers for the offense and if you ask Sanders, that prophecy is coming true. Now that he is back to having fun, the Broncos offense is beginning to take off and Sanders is excited about what is to come. The 2018 Broncos training camp has reinvigorated Sanders and he is back to having fun again. That is great news for the Broncos and bad news for everyone of their opponents. “I am happy — extremely happy — with the direction we’re going offensively,” Sanders said. Not fighting during joint practice with the Chicago Bears. How this past week has been the best week of training camp. Sanders roasting Kyle Fuller in practice. 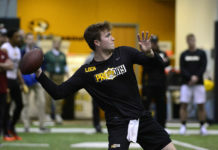 Sanders enjoying playing football again. Sanders’ thoughts on Courtland Sutton making big-time plays and needing to get in shape.